Ioannidis (hamstring) finished the 2018 season with 31 tackles (23 solo) and 7.5 sacks in 14 games. Ioannidis (hamstring) is inactive for Sunday's game against the Eagles, Kareem Copeland of The Washington Post reports. Analysis: Ioannidis suffered the hamstring Week 16 against the Titans and will miss his second game of the season. The 24-year-old was questionable despite not practicing all week, so him not being available isn't overly surprising. Stacy McGee and Caleb Brantley should see increased snaps at defensive end in his absence. Ioannidis (hamstring) is questionable for Sunday's game against the Eagles. 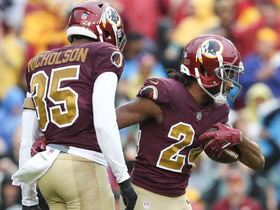 Analysis: Ioannidis sustained a hamstring injury during last week's loss to the Titans, putting his status for Sunday's divisional tilt in legitimate question. Caleb Brantley will slot into the starting lineup if Ioannidis is unable to go. Ioannidis (hamstring) did not practice Thursday, Kareem Copeland of The Washington Post reports. Analysis: Ioannidis has missed two straight practice sessions since exiting Sunday's loss to the Titans due to a hamstring issue. If Ioannidis were to sit out Week 17, Caleb Brantley would slot into the starting lineup versus the Eagles. Ioannidis (hamstring) is doubtful to return to Saturday's contest against the Titans. Analysis: Ioannidis was listed as questionable with a shin injury heading into Saturday's game, but it appears the defensive end will leave with a different issue when it's all said and done. Ioannidis did have a handful of quarterback pressures throughout the contest prior to the injury. Ioannidis (shin) is active for Saturday's game at Tennessee. Analysis: Ioannidis was listed as questionable as he battles the lingering shin injury, but is good to go against the Titans. The 24-year-old played only 24 defensive snaps last week against the Jaguars and it remains to be seen whether he's still on a limited snap count. Ioannidis (shin) is active for Sunday's game versus the Jaguars. Analysis: Ioannidis sported a questionable tag over the weekend but will be able to tough it out again. He was in the same situation in Week 14 and logged just three defensive snaps against the Giants, so fantasy owners looking to deploy the skilled pass rusher should beware of a potential cap to his snap count. Ioannidis (shin) is active for Sunday's game versus the Giants, Kareem Copeland of The Washington Post reports. Analysis: Ioannidis missed last week's game but is healthy again for an important divisional matchup. The third-year pro has 7.5 sacks this year, and he'll have a good opportunity to tack on to that total against Eli Manning, whom he recorded 2.5 sacks against in Week 8. Ioannidis (shin) is officially listed as questionable for Sunday's game against the Giants. 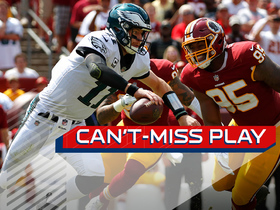 Analysis: Ioannidis sat out Washington's loss to the Eagles last week, but he appears to have a shot at retaking the field Sunday against the Giants. If the third-year veteran were unable to go, Tim Settle, Stacey McGee and Caleb Brantley would once again all benefit from increased snaps. Ioannidis (shin) is inactive for Week 13. Analysis: Ioannidis, who has 7.5 sacks so far this season, will miss his first game in 2018. Tim Settle, Stacey McGee and Caleb Brantley all have potential to see additional work with Ioannidis out. Ioannidis (shin) is questionable for Monday's game against the Eagles. Analysis: Ioannidis sustained the shin injury last week against the Cowboys and began the week not practicing, but was a limited participant Thursday. The Redskins decided to practice Saturday night, so it remains unclear whether the 24-year-old made further progress. Stacy McGee and Tim Settle would likely see increased snaps along Washington's defensive line if Ioannidis cannot suit up. Ioannidis will not return to Thursday's game against the Cowboys, Kareem Copeland of The Washington Post reports. 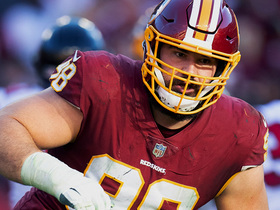 Analysis: Ioannidis will not return to Thursday's divisional tilt after suffering a lower leg injury in the second quarter. The severity of Ioannidis' injury remains undisclosed, so his participation will be worth monitoring when the Redskins return to practice next week. If the third-year pro remains sidelined for any amount of time, expect Stacy McGee to see an increased defensive workload. Ioannidis is questionable to return to Thursday's game against the Cowboys due to a lower leg injury, John Keim of ESPN.com reports. Analysis: Ioannidis exited Thursday's divisional contest during the second quarter. If the third-year defensive end is unable to retake the field Thanksgiving Day, Stacy McGee should receive an uptick in defensive snaps. Ioannidis recorded one sack across 43 defensive reps in Sunday's win over the Buccaneers. Analysis: Ioannidis now has four sacks over the past three games and has seven sacks on the season. His 43 defensive snaps (62 percent) were the most among Redskins defensive lineman. He'll look to continue his sack streak Sunday against the Texans, which have allowed 30 quarterback takedowns on the season -- sixth most in the league. Ioannidis recorded seven tackles (six solo), including a sack, in Sunday's loss to Atlanta. Analysis: Ioannidis' seven tackles were a new season high for him, and his sack gives him 6.5 on the year. He's been a consistently solid performer along the defensive line and is worth consideration in IDP formats. 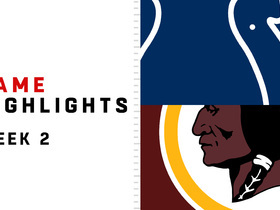 Looking ahead, he and the Redskins will host the Buccaneers in Week 10. 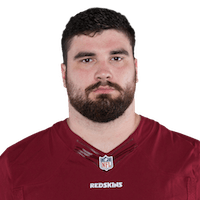 NFL Network's Mike Garafolo reports that the Washington Redskins have signed defensive end Matt Ioannidis to a three-year, $21.75-million contract extension. 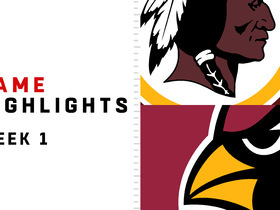 Watch the highlights from the Week 1 matchup between the Washington Redskins and Arizona Cardinals in the 2018 season. 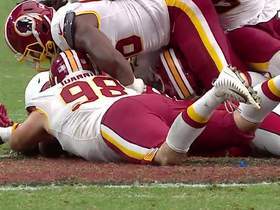 Washington Redskins defensive end Matthew Ioannidis strip sacks Arizona Cardinals quarterback Sam Bradford and the Redskins recover. 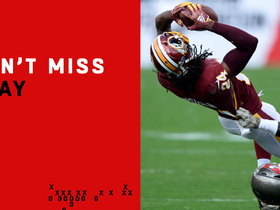 Washington Redskins cornerback Josh Norman recovers Dallas Cowboys running back Ezekiel Elliott fumble on the first play of the game. Philadelphia Eagles quarterback Carson Wentz escapes the pressure to find wide receiver Nelson Agholor for the 58-yard touchdown. 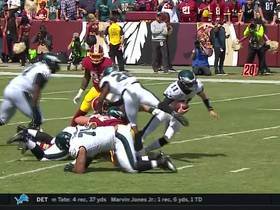 Washington Redskins linebacker Ryan Kerrigan and defensive tackle Matt Ioannidis converge on Philadelphia Eagles quarterback Carson Wentz for the sack.